The last great ski town. A mountain biking mecca. The Wildflower Capital of Colorado. Crested Butte has garnered quite the reputation in the last few decades, and frankly, it’s deserved. The Gunnison County town is loaded with year-round adventures, fosters a warm and charming community feel, and boasts a diverse and delicious dining scene to boot. Unlike some other Colorado resort cities, the locals here are always down to share the best CB has to offer. Best of all? You needn’t brave I-70 to get there. The four-hour drive on Highway 285 curves through scenic mountain passes, where you’re more likely to spot a herd of elk or some wandering antelope than sit in bumper-to-bumper traffic. In short: Crested Butte is at the top of our list of Colorado’s must-visit towns. Here’s what you should know when you go. While Crested Butte is most commonly known for its world-class skiing, the town offers a plethora of adventures all year long. In the warmer months, CB is a destination for its many, multi-level mountain biking trails. For a dose of history before you ride, head to the Crested Butte Mountain Heritage Museum and learn about the pioneers who inspired the town’s modern-day trail network. Crested Butte is also home to the Crested Butte Mountain Bike Association, the oldest known mountain bike club in the world. Its website is a great resource for finding the best trail for you, as well as checking trail statuses. Need to borrow a bike while in town? The Alpineer is a longtime outfitter that rents full-suspension mountain bikes for $49.95 for a half-day, and $75.95 for the full day. 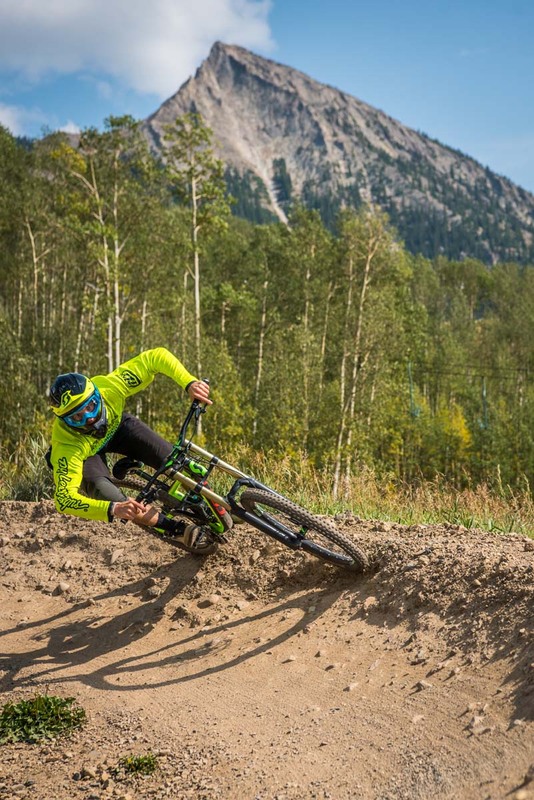 If you’re looking for a bigger two-wheeled adventure, head up to Crested Butte Mountain Resort and tackle the designated downhill trails with lift access, or test your skills on one of the resort’s two skills zones. No matter your expertise, the resort has a mountain biking adventure for you. If you’d rather keep your feet on the ground, hit the trail to peep some gorgeous alpine colors. In the summer, the town is dubbed the “Wildflower Capital of Colorado,” and even hosts a week-long festival to celebrate its blooms each July. Swing through the Wildflower Festival office (located in town) to grab a free printed wildflower guide, and explore on your own. By the time fall arrives, the surrounding landscape trades its colorful wildflowers for some of the state’s best leaf-peeping. You can’t go wrong on any of the many hiking trails in and around town, but we like the easily accessible Woods Walk, which comes alive with lupines and columbine flowers in the late summer months, as well as the challenging, 10.2-mile hike from Crested Butte to Aspen (or reverse), which tallies a 2,357-foot elevation gain. 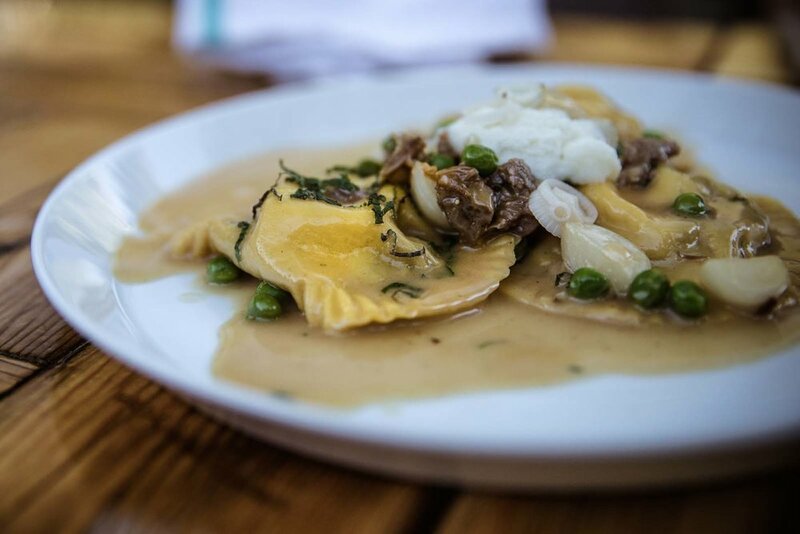 Don’t let this quaint mountain town fool you—Crested Butte boasts an exceptional (and diverse) dining scene. Begin your day like the locals do: With a cup of fresh-roasted at Camp 4 Coffee or First Ascent Coffee Roasters. When lunchtime rolls around, let your appetite be your guide. Grab a hearty burger (or even a messy chili dog) at the Last Steep Bar & Grill. Or, if the sun is shining, take to the patio at Bonez Tequila Bar + Grill. Here, you can drink your way through the seemingly never-ending margarita offerings, while digging into flavorful plates of tacos, which start at $13.95. Now let’s talk aprés. The place to be (and to show off any new biking wounds) after a day on the trails is Brick Oven Pizzeria & Pub. This CB staple has a huge selection of pizzas to choose from, as well as a beer list that rivals any major Front Range beer bar. Take your pick from world-class brews from 30 different taps, or choose a selection from the Brick’s semi-secret cellar, which houses some of the best beers released in the past decade. When the temperature starts to drop, you won’t find a cozier spot than the Dogwood. Housed in an old miner’s cabin, this quaint spot is known for mixing creative cocktails with their infused spirits and offers awesome happy hour prices from Tuesday through Sunday. If you can manage to snag a table before the place fills up, the Ginger Cafe is an excellent place for some tasty (and heaping) Thai- and Indian-inspired dishes. But to eat like a local, be sure to grab a meal at the Sunflower Deli—a small, family-owned restaurant specializing in farm-to-table dining. Don’t even bother looking up the menu before your visit; it’s probably already changed. But we’ll bet you’ll love whatever creative and beautifully plated seasonal dishes are being served at the moment. The Inn at Crested Butte offers primo proximity to the shops and restaurants in town, without breaking the bank. Find rates at this comfortable property starting at $159 during the busy summer months, which provides guests with complimentary wifi, breakfast, coffee, and freshly baked cookies, as well as free cruiser bike rentals. Like any good ski town, CB also has a hostel—the Crested Butte Lodge & Hostel—which provides basic accommodations for under $100 per night. 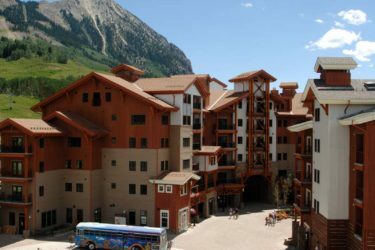 For a broader selection of lodging options, Crested Butte Mountain Resort has you covered—from spacious condos perfect for accommodating the entire family, to beautiful hotel rooms overlooking the busy ski resort and Mount Crested Butte. Elk Avenue and the town’s main drag is only a short bike ride or free shuttle ride away. A good sign that a travel destination is family friendly is a great local ice cream joint, and Crested Butte’s hometown shop is about as good as they come. Third Bowl Homemade Ice Cream serves up heaping scoops of the house-made treat, and is conveniently located off Elk Avenue. It’s the perfect way to end a day playing at Crested Butte Mountain Resort’s Adventure Park, open from June to October. Enjoy mini-golf, rock climbing, a bungee jump trampoline, and even prospecting for gems—a fun throwback to Crested Butte’s notorious mining days. Day passes for children ages 7 to 12 are $17, and passes for adults are $20 per person. Crested Butte has a thriving arts community, so much so that the Crested Butte Creative District is recognized as one of the official designated creative arts districts in the state. Galleries are found up and down Elk Avenue and full of locally created photography, jewelry, paintings, and sculptures inspired by the quaint town and its natural surroundings. Don’t miss Paragon Gallery and Crested Butte Center for the Arts, both of which serve as co-op spaces where multiple artists work and display their creativity. Forgot a rain jacket or need to pick up some new hiking boots? Chopwood Mercantile is a locally owned outdoor shop packed with all the apparel and gear you need to play outside. Plus, you can gather some insider’s tips on where to hike, bike, and even stand-up paddle board from the knowledgable staff while you shop. To really get a feel for this charming town, spend some time strolling Elk Avenue. Crested Butte’s main vein is full of historic charm, beautifully restored Victorian-style houses, independently owned shops and art galleries, and busy restaurants showcasing Crested Butte’s many culinary talents. The welcoming vibe, coupled with the breathtaking surroundings, will make it hard to leave this mountain utopia. But rest assured, there’s always more to discover on your next visit.